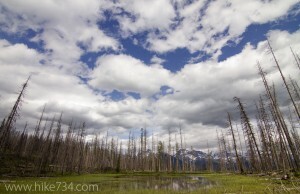 The Howe Ridge Fire Trail spends most of its time in a burned forest, giving you views of Lake McDonald and the surrounding peaks filtered through masses of burned tree trunks and branches. The trail from either end is well maintained, but the middle is definitely a Class 3* trail. 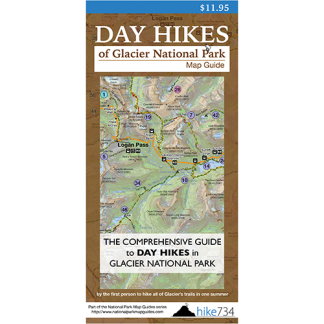 While you probably will not get lost, getting off the trail will likely make for a much longer day. As with most burned forests the birding is great. One thing to take into consideration for this trail is transportation, as there are no shuttle services for the Inside North Fork Road and North McDonald Road. Trailhead: The trail is well marked off the Inside North Fork Road just north of Fish Creek.